Anyone out there have any old information or lexicon files they are willing to share - to help with some ideas on the correct ways to format the pronunciation of some tricky words out there - especially towns. There is a lexicon.txt file that you would need to edit in order to add new pronunciations. The location varies depending on your OS--you can find your location by looking at the top of the link above. Hope this helps! Please let us know if you have further questions. 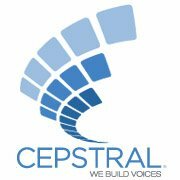 Does Cepstral voices support a secondary stress and if they do would the secondary stress be indicated by the number 2? Unfortunately, Cepstral voices do not support secondary stress at this time. If you want to indicate multiple stressed syllables within the same word, the best option would probably be to use more than one primary stress. We will let you know if this changes in the future. Thanks Nichole, your answer helps a lot.